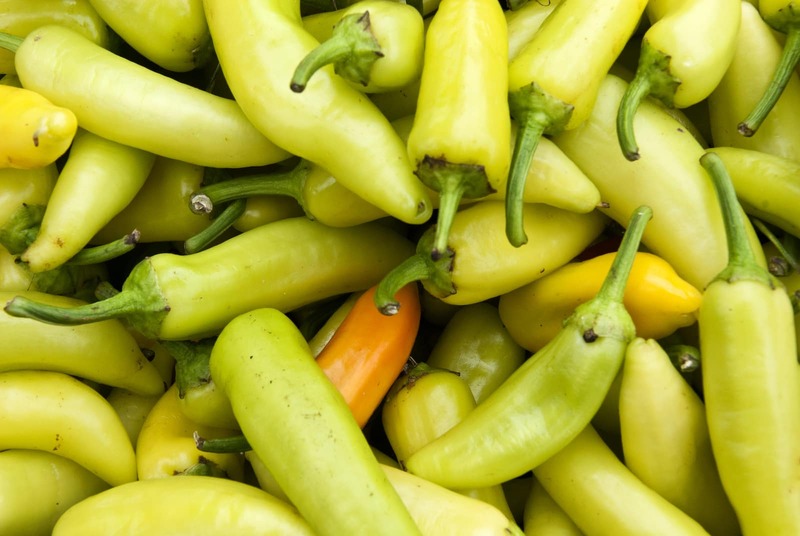 Banana peppers are usually classified as a mild chili pepper. Their Scoville ranking tops out at about 500 Scoville heat units, which is considerably less hot than the jalapeño. 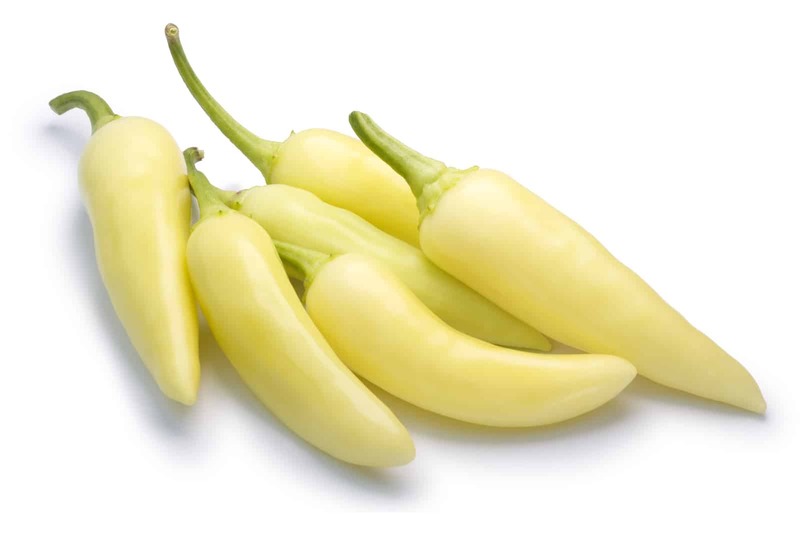 A banana pepper can deliver more heat than a bell pepper but should still be within the tolerance of most people. The flavor profile is tangy and sweet, which makes it a versatile pepper that can you use for many applications. 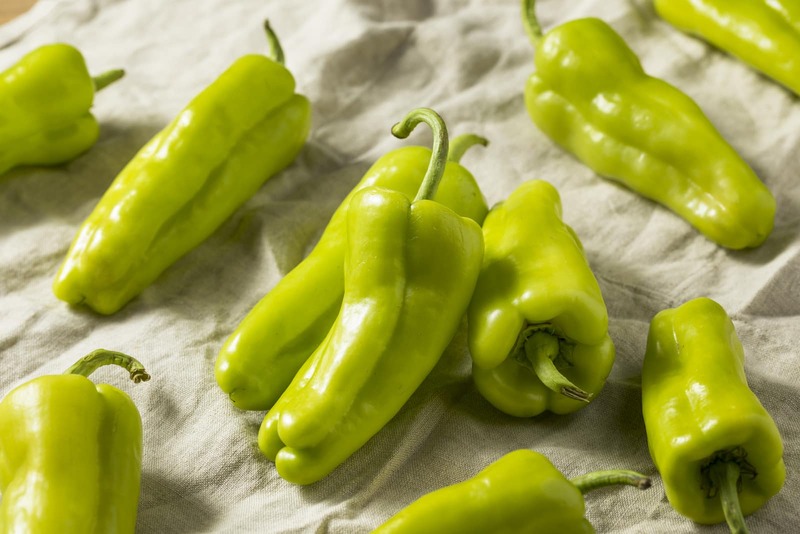 Below are eight delicious banana pepper uses that will provide you with a lot of fun in the kitchen. 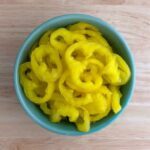 If you find yourself with a lot of banana peppers, you can pickle them to extend their shelf-life. Unlike other pickled peppers, the color of banana peppers does not change as a result of pickling. You get the same bright greenish yellow color as an attractive addition to your food. Pickled banana peppers are also a source of mild heat that you can use to liven up a variety of dishes. Deliciously tangy with a mild heat, pickled banana peppers are perfect for sandwiches, pizza, salads, and more! Banana peppers — pickled or fresh — make a great topping for pizza. The flavors meld well with traditional pizza toppings like pepperoni and other cured meats. It goes well with common pizza vegetables like onions and even arugula. A spicier banana pepper might be even more enjoyable as it will offer a light heat to cut through pizza’s fattiness. Banana peppers pair well with all meats and can add a delightful tang to cold cuts, turkey, and even tuna salad. 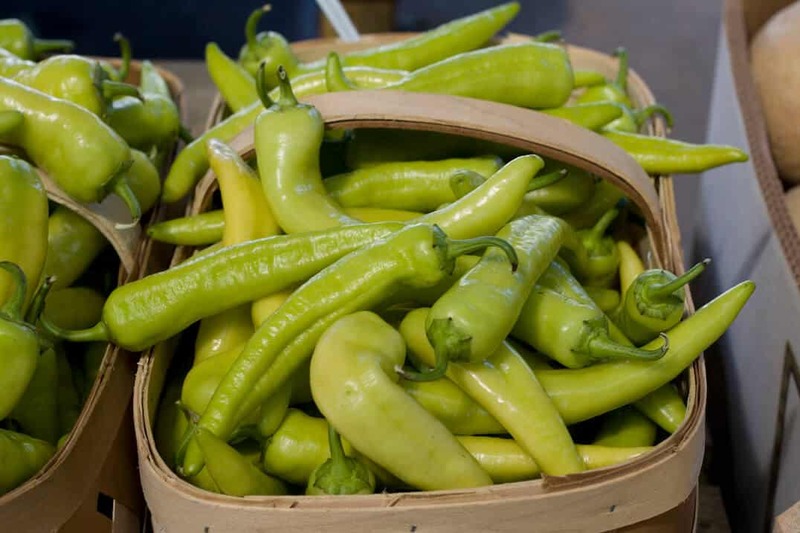 Pickled banana peppers provide the same acidity as pickled jalapeños but without the heat. It even works as a topping for one of the most popular sandwiches: the hotdog. Use pickled banana peppers in place of traditional cucumber pickles on your burger or as a bell pepper substitute for a cheesesteak. Raw or pickled banana peppers are a great fit for salads. The sweetness and subtle heat of the raw pepper complement the most popular salad ingredients including dressings. The acidity of pickled banana peppers can provide a pleasing flavor contrast, especially in salads like coleslaws that have creamy dressings. Bell peppers and jalapeños are popular peppers to serve stuffed. Banana peppers can be seen as a combination of the two from a flavor perspective so why not stuff them too? They are milder than jalapeños, which makes them a great choice if you want as little heat as possible. You can also use banana peppers to replace jalapeños in any recipe that involves stuffing the peppers. They work well in both baked and deep-fried applications. Salsas typically have a chili pepper component, sometimes jalapeño peppers are used or a hotter chili like the serrano. Banana peppers can work as well in salsa as any other pepper. Their flavor is an effective complement for the acidity of tomatoes and other salsa ingredients as well as for the herbaceousness of cilantro. Pickled or fresh jalapeño peppers are the traditional option for tacos, but banana peppers can work just as well. Use them to provide a little heat, a crisp texture, and a fruity flavor. Pickled peppers will give tacos a touch of acidity but without the stronger heat of jalapenos or serranos. Pepper jelly is a versatile condiment that you can use to add a sweet, peppery flavor to numerous foods ranging from meats to cheese dishes. You will need to combine pureed banana peppers with pectin to make it. Banana pepper jelly gives you sweetness along with a peppery flavor and a mild heat as well. What's A Good Banana Pepper Substitute?